To the believer Jesus is the chief cornerstone of His church, but to the disobedient He is the stone that is rejected of builders. 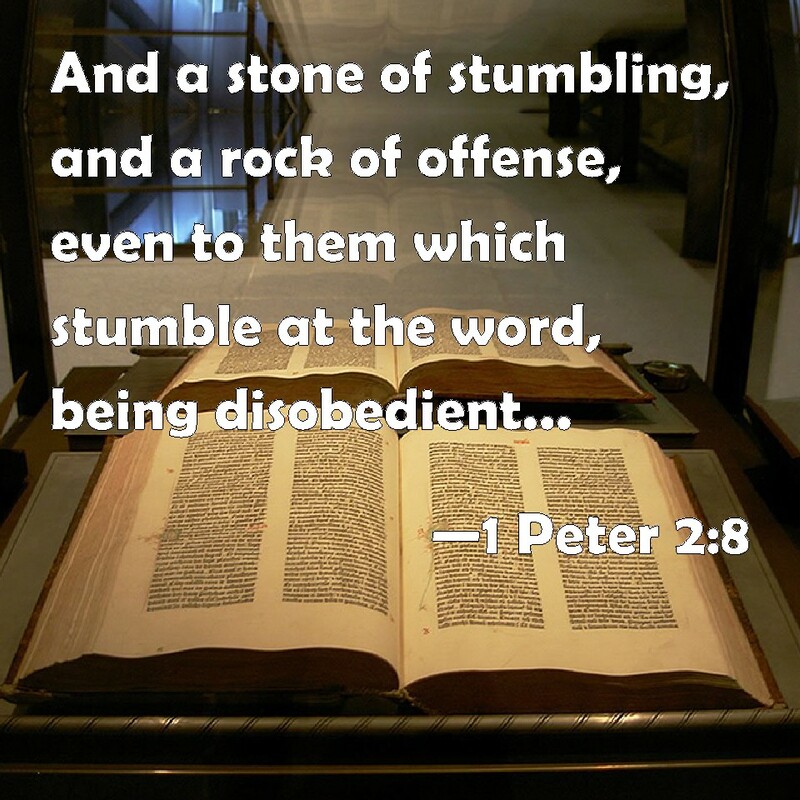 He is a rock of offence to those who stumble by the word (1 Peter 2:6-10). Mount Zion is where God dwells and even in the old testament there was instruction given that the Lord would be a sanctuary for His people, but a stone of stumbling and a rock of offence to the house of Jacob(Israel)that does not fear Him! (Isaiah 8:11-20). Jesus is known as the second Adam whereby the law sin entered the world and death passed upon all men, but through the offence of one through the grace of our Lord is the free gift given unto justification of life(Romans 5:12-21). 12 Wherefore, as by one man sin entered into the world, and death by sin; and so death passed upon all men, for that all have sinned:13 (For until the law sin was in the world: but sin is not imputed when there is no law.14 Nevertheless death reigned from Adam to Moses, even over them that had not sinned after the similitude of Adam’s transgression, who is the figure of him that was to come.15 But not as the offence, so also is the free gift. For if through the offence of one many be dead, much more the grace of God, and the gift by grace, which is by one man, Jesus Christ, hath abounded unto many.16 And not as it was by one that sinned, so is the gift: for the judgment was by one to condemnation, but the free gift is of many offences unto justification.17 For if by one man’s offence death reigned by one; much more they which receive abundance of grace and of the gift of righteousness shall reign in life by one, Jesus Christ. )18 Therefore as by the offence of one judgment came upon all men to condemnation; even so by the righteousness of one the free gift came upon all men unto justification of life.19 For as by one man’s disobedience many were made sinners, so by the obedience of one shall many be made righteous.20 Moreover the law entered, that the offence might abound. But where sin abounded, grace did much more abound:21 That as sin hath reigned unto death, even so might grace reign through righteousness unto eternal life by Jesus Christ our Lord. I like the juxtaposition of Jesus being the rock of safety for His followers and stone of stumbling for unbelievers. Never fully pondered that prior.